We feel, in a way, to have a chance here to vindicate the veracity of Astrology, because the number of significant coincidences between Obama’s public/personal life and his Birth Chart, transits and progressions is indeed difficult to explain ‘rationally’. While a ‘scientific’ proof of Astrology remains elusive and our Art is still looked upon with suspicion by many otherwise intelligent and open minded individuals, any serious student of Astrology can tell that the subjective experience one gets from the study of a Birth Chart is uncanny and undeniable. Astrology is a wonderful language through which to describe the nature of external events as well as inner experiences. Like many others I became interested in the Horoscope of Obama during the last months of his campaign against the McCain-Palin’s team. At first no one knew the time of birth of this rising star and many suggestions were made. Finally Obama himself published a copy of his birth certificate in his electoral campaign website ‘Fight the Smears’. This states that his birth took place in the evening of Friday, August 4, at 7.24 pm, in Honolulu. The Sabian symbols thus picture Obama’s Sun degree in Leo: ‘An old sea captain rocking on a porch of his cottage’. Moon degree in Gemini: ’Holly and mistletoe brings Christmas spirit to a home’. Ascendant degree in Aquarius: ‘A forest fire quenched’. The Leo Sun and Aquarius Ascendant describe very well the mix of personal charisma and popular appeal that identifies Obama in the eyes of a great number of people. The Sun is very close to the Descendant’s degree (popularity), but it is actually already set in the VI House, below the visible horizon, giving a different, more humble tone to the whole Horoscope. The Aquarius rising explains his humanitarian views and honest desire to help, also his innovative thinking, originality and mental stamina. Dispassion is sometimes a term attributed to Aquarius; and undeniably Obama has always an air of confidence (Leo) and ease about him, as if the circumstances surrounding him didn’t have an obvious effect on him. He is able to maintain a remarkable degree of cool, without alienating himself from others; this thanks, I feel, to his responsive and genuinely caring Cancer Venus. This Venus also makes him rather patriotic, despite his multi-cultural background and Aquarian tolerance and appreciation of differences. The VI House of Work and Service is populated by the Sun and Mercury in Leo, showing one driven by a passionate desire to help and be useful, and also strong ego drive which tries to compensate for an innate sense of inferiority through excellence in performance (Sun) and delivery (Mercury). These positions could make him a remarkable and perhaps exacting worker. 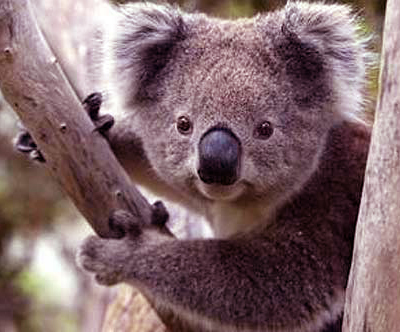 Perhaps, despite the Leo pluck and Gemini mental agility and gift of the gab, this is a shy and self conscious man. Mars located in Earthy Virgo on the cusp of the House of Power (VIII) confirms that a lot of Obama’s sexual and all round energy will be spontaneously deployed through work, tasks needing patience and accuracy, and minute attention to details. He can be critical and outspoken when provoked, but also shrewd and profound (VIII House). This is one important aspect in this chart, showing a strong desire for power and control, which coupled with the Fixed Signs emphasis make his will stronger and less yielding. According to some, this Mars on the cusp of the House of Death is one of the astrological signatures for sudden, accidental or violent death. 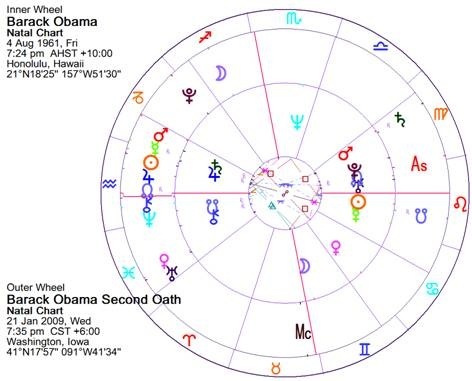 I will discuss more facets of Obama’s Birth Chart (including his progressions) in other posts. If interested, here is also a link to stuff I wrote about him during the Presidential Campaign. In this post and the next I will concentrate on plotting Jupiter and Saturn transiting and progressed journeys over Obama’s Horoscope, because they do make an interesting story. Let’s start from the end, Obama winning the Nobel Peace prize, announced in Oslo, Norway, on October 9, 11 am, local time. This translates to 4 am in Washington where the news was received. Here is the Transiting Chart for Oslo. 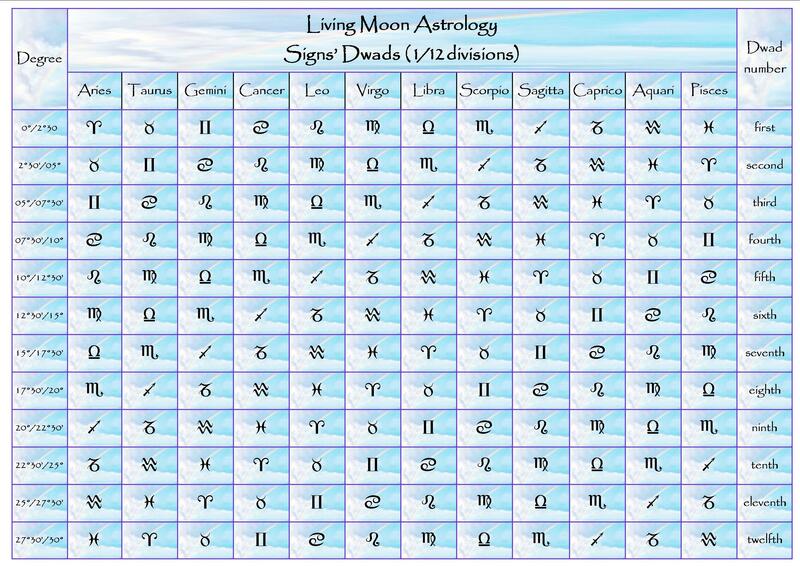 Noticeable, in this chart, is the grand trine Moon-Sun-Jupiter/Chiron/Neptune, in Air Signs and the Moon in the same Sign as Obama’s natal Moon (his monthly Moon return on the day). Below is the same moment in Washington plotted against Obama’s Birth Chart. It is immediately obvious here that transiting Jupiter is only one degree away from the natal Ascendant, a traditional good luck aspect, creating opportunities and enhancing self confidence, with even some risk of self inflation (it is not every day that one wins a Nobel Prize). Because of the conjunction transiting Jupiter to natal Ascendant, the Sun and Moon are, of course, also in grand trine to Obama’s Ascendant. What is even more fascinating is that Jupiter is very close to his direct station, meaning that it will soon become direct again (October 14), a position that is considered particularly auspicious, because the planet is now ready to release its energy outwardly, after four months introverted journey. This fresh cycle of Jupiter through the Houses of the Horoscope has started very well for Obama. An interesting parallel I can make here is the position of Obama’s progressed Moon on his natal Ascendant at the time of the Presidential Election, on the day he won, November 5, 2008. 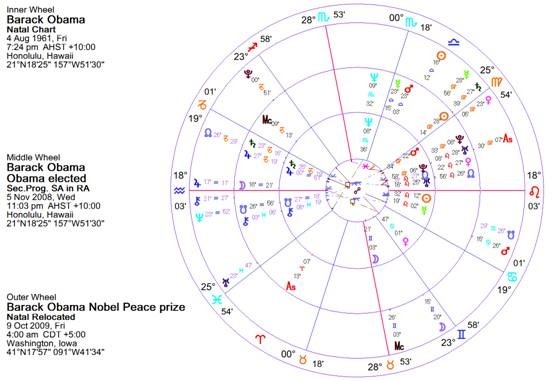 Below is the Progressed Horoscope around the Birth Chart on that day and the day he won the Peace Prize. The progressed Moon in Aquarius is less than a degree away from the position of transiting Jupiter on the Nobel Prize day, both closely entwined with Obama’s natal Ascendant. Without mentioning the progressed Venus in Leo conjunct his natal South Node (the past psychic destiny we carry with us in this life). This seems even more significant when we consider that Obama’s natal Venus in Cancer is actually conjunct the United States Birth Chart’s Venus! And there are many other meaningful connections between these two charts: see Mars conjunct Neptune, linking his personal psyche with the collective soul of America, its spiritual ideals and aspirations (thus making Obama appear to some as a sort of ‘Saviour’ of his country, hence his ingress in office at such a difficult time of crisis). Obama’s Mars is square (90° away from) the USA’s Mars, a somewhat dangerous aspect, that could threaten violence, hostility and even treachery. Very interesting thoughts about this can be found in Ed Tamplin’s website, one of my favourite site for Mundane Astrology. I call all this remarkable, but it would not stand statistical or scientific scrutiny, I am sure. It is just subjectively so right! And what about his first baby daughter Malia Ann being born, of all days in the year, on the 4th of July, 1998? It is amazingly ridiculous. To return to Jupiter, the giant Planet entered Aquarius, Obama’s Rising Sign, on Epiphany day, January 6, 2009. This ingress coincided with Obama’s fourth Jupiter’s return (transiting Jupiter conjunct natal Jupiter), a twelfth year cycle of growth and expansion in his 48th year; another remarkable synchronicity, exact on January 9. It was on the 20th and, again, on the 21st of January 2009 that Obama pledged his oath as 44th President of the United States. Below are the Transiting Charts for these events. 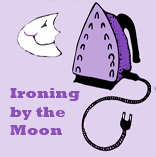 It is interesting to observe the North Node of the Moon (the point in the so called axis of destiny that symbolizes future directions and the unfoldment of fate in the life of the individual) right on the natal Ascendant on both occasions, while the Sagittarius Moon seems to be in a more appropriate position at the time of the first oath, conjunct the Midheaven and in quasi perfect opposition to natal Moon. Transiting Jupiter crossed Obama’s Ascendant degree in direct motion for the first time on March 26, 2009. As reported in a Wikipedia article ‘On March 19, Obama continued his outreach to the Muslim world, releasing a New Year’s video message to the people and government of Iran .… In April, Obama gave a speech in Ankara, Turkey which was well received by many Arab governments. On June 4, 2009, Obama delivered a speech at Cairo University in Egypt calling for “a new beginning” in relations between the Islamic world and the United States and promoting Middle East peace. Jupiter became stationary retrograde at the end of May 2009, on the 26th degree of Aquarius. It touched again Obama’s rising degree, this time in retro motion, on September 20, 2009, only to become stationary again and then direct just a degree away from his Ascendant, on October 13. Jupiter will re-cross Obama’s Ascendant on November 5 and, after that, not again for another twelve years. For Jupiter however to have such a marked effect on someone it had to promise something of that sort at birth, because nothing can happen unless the pattern for that event is found somewhere in the Birth Chart. 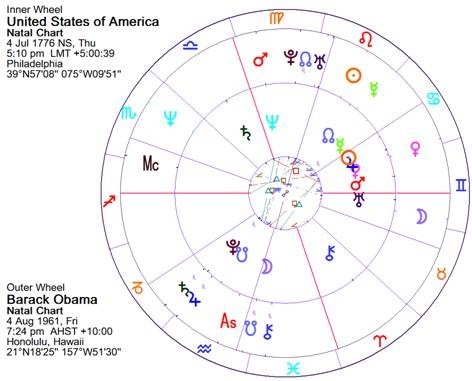 So what Obama’s natal Jupiter is telling us? It is in Aquarius, first of all, therefore strongly colouring Obama’s outlook (his Rising Sign in Aquarius). It will help to enhance his optimism and faith. It helps his oratorical skills and his ability to embrace different cultural trends without losing his own centre (Fixed Air). All in all a traditional Benefic, like Jupiter, in the Sign of one’s Ascendant, improves the tone of the entire chart, promising good luck, the ability to take advantage of opportunities, and confidence in oneself and one’s principles. The fact that Jupiter is in the twelfth rather than the first House indicates that Obama often relies on unconscious prompting and is very intuitive. The twelfth House is in fact the pool where all knowledge and all collective feelings are stored. A planet in this sector is like a cosmic fishing line into this pool, a link into the collective soul that can be very useful if one is seeking to appeal to the masses. This natal Jupiter was also retrograde in early Aquarius, meaning that it re-entered Capricorn, both in transit and secondary progression. This happened very early in his life in transit, just a week after he was born; and later in his life in progressions, in October 1968, a few months after moving to Jakarta with his family, an important event that completely re-oriented his life. This backward motion of one of the most important planet in Obama’s Horoscope is very interesting, most importantly because, going back into Capricorn, Jupiter is applying to, rather than separating from, the conjunction with Saturn in Capricorn, also retrograde. Both Jupiter and Saturn have a lot to do with what in Psychology is now generally known as the Super-Ego, that function of the Ego that builds defensive boundaries (Saturn) against the encroaching Id, the animal or instinctual nature, as well as the function which conceives general principles and moral guidelines (Jupiter), ultimately helping the individual to realize his innate potential. These two antithetical Planets, when conjunct, show a strange blend of responsible and care free attitudes, discipline and ease, pragmatism (Capricorn) and idealism (Aquarius). Traditionally the conjunction is deemed a neutral aspect, neither positive nor negative. The potential for good in a Jupiter-Saturn conjunction is undeniable, being excellent for business and to embrace responsibilities with faith and confidence in one’s potential for success, no matter how large the enterprise. Wikipedia: “After four years in New York City, Obama moved to Chicago, where he was hired as director of the Developing Communities Project (DCP), a church-based community organization, …on Chicago’s far South Side. He worked there as a community organizer from June 1985 to May 1988. During his three years as the DCP’s director, its staff grew from one to thirteen and its annual budget grew from $70,000 to $400,000. He helped set up a job training program, a college preparatory tutoring program, and a tenants’ rights organization in Altgeld Gardens. Jupiter can in fact ease the burden of Saturn, in this case a particularly heavy one in Capricorn (more about Saturn in another post), enhancing hope and self-confidence. While Saturn can help Jupiter to keep in line with reality and pursue more realistic goals. Certainly the risk of self-inflation, sometimes manifesting in people born when Jupiter was retrograde, is reduced greatly by the sobering proximity of Jupiter to Saturn. The Sun, in Obama’s Birth Chart passed the opposition to Jupiter just a few days before his birth, but, at the time of birth, the opposition had just got out of orb of influence and was weakening. A close opposition of Sun-Jupiter in a Birth Chart is sometimes a sign of Ego-inflation, when the individual identifies himself with an inner myth and can begin to confuse his Ego desires and needs for the Will of God, or one’s special destiny. A sense of destiny and specialness always accompanies the opposition Sun-Jupiter, for good or ill. Looking at the conjunction of Jupiter-Saturn from another viewpoint, we can see that, being retrograde, they were in a similar relationship with the natal Sun, close to the opposition aspect. The three symbols, Sun, Jupiter, Saturn, have something to do with the archetypal father, in three different guises or manifestations. The father archetype embodied in the Sun symbol is the inner father, a spiritual guide who encourages us to become more fully conscious. The Jupiter symbol is the father who encourages our potential to grow and enrich our experience. The Saturn symbol is the father who imparts discipline, instilling a sense of personal responsibility in the individual. The fact that they are all three closely connected to each other show the importance of the idea of Father and Fatherhood in Obama’s life. Through this we can glimpse the impact the absence of his father must have had on young Barack and the fact that he had in fact three father figures in his early years: his absent father, whom he probably idealized (Sun in Leo), but was also source of disappointment and pain, causing Barack to sometimes doubt his potential for success (Sun in the Sixth House). After his mother re married and the family moved to Jakarta in 1967 Obama had another father, the Indonesian second husband of his mum, while, when he went back to Honolulu in 1969 he lived for a number of years with his maternal grandparents. So a grandfather played the father figure too during these important maturing years. The Jupiter-Saturn conjunction is an event much valued for its meaning by Mundane astrologers (the ones specialised in the study of collective events and the destiny of Nations). It occurs once every twenty years, a cycle that can be linked to many archetypal cycles, like, for instance, the one underlying the Chinese Book of Change. The Hebrew sages and astrologers also used this cyclical conjunction to calculate epochs of cultural and spiritual development on earth, in the same way as western astrologers calculate the Ages via the Precession Signs. I’ll return to this in another post.